Last week the 2012 Mac mini was released. The upgraded processor, memory speed, and USB 3 ports are great upgrades, but we feel the most important upgrade was that the Mac mini Server now including two 1TB hard drives. The Server model also includes Server.app and a quad-core i7 CPU. Attaching a 1TB USB3 drive to a standard model will serve the same purpose (we have these drives in stock). Note: there is a $10/month charge for external drives. RAID has not been a great option since OS X 10.7 Lion. Using a mirrored RAID removes the restore partiton feature. Also if the RAID status is not being monitored it is possible to loose both drives and loose data. There are two theories for backing up you mini and luckily the 1TB drive allows you to use both. This method allows for data recovery of specific revisions as well as rebuilding from scratch after a drive failure. There is downtime for diagnosing a failing drive and replacing it. This may be an hour or two, but can be longer depending on the circumstances. This method allows for less downtime. If a drive has failed and the Mac mini is rebooted, the machine will boot from the next drive it finds with a bootable OS. The downsides is that data is lost between the last clone and the failure. Corrupt data that is cloned over is also corrupt, there are no previous versions that are recoverable. How to configure your backups. We recommend taking the secondary 1TB drive and formatting it into two 500GB partitions. Make sure the drive has a GUID Partition Table partition map scheme (under options in the partitioning tab of Disk Utility). Format both partitions as Mac OS Extended (Journaled). 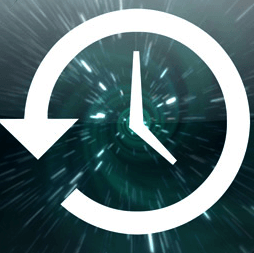 Enable Time Machine (Method 1) and set it to back up to one of the partitions. For the clone option (Method 2) download and purchase SuperDuper! to run scheduled clone jobs.